KAYA Instruments is the leading provider of CoaXPress related high tech, high performance products. KAYA has been serving the global machine vision industry since 2008 and produces high quality, field-customizable systems for easy integration and continual compatibility for each client’s specific and changing needs. 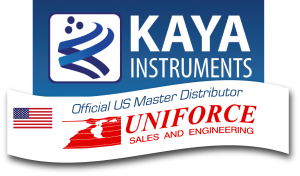 KAYA’s products feature universal configurations, high reliability, and custom and modified options. Komodo is best in class Frame Grabber supporting CoaXPress standard. The Komodo is capable of receiving video streams from up to 8 CoaXPress links in single, dual, quad or octal modes. It is used for simultaneous capture from up to two quad link cameras. Each link supports standard CoaXPress bitrates up to 6.25 Gbps. This CoaXPress Frame Grabber is ideally suited for industrial, defense and aerospace Machine Vision Systems and applications. The Komodo can easily receive video streams on the CoaXPress links and transmit them to computer memory through the PCIe interface. This product also provides GPIO for machine control signals, such as triggers, shaft encoders, exposure control and general I/O, which can be control aside video stream acquisition. The Komodo uses standard DIN connectors as a CoaXPress interface to the camera and standard 100 mil headers for general purpose I/O. The Frame Grabber utilizes PCIe Gen3 x8 links for communication with Host PC for video uploading and configuration. Predator is a low-cost Frame Grabber supporting CoaXPress standard. The Predator is capable of receiving video streams from up to 4 CoaXPress links in single, dual and quad modes. Used for simultaneous capture from up to two dual link or four single link cameras or a single quad link camera. Each link supports standard CoaXPress bitrates up to 6.25 Gbps. This CoaXPress frame grabber is ideally suited for industrial, defense and aerospace Machine Vision Systems and applications. The Predator can easily receive video streams on the CoaXPress links and transmit them to computer memory through the PCIe interface. This product also provides GPIO for machine control signals such as triggers, shaft encoders, exposure control and general I/O, which can be controlled aside the video stream acquisition. The Predator uses standard DIN connectors as a CoaXPress interface to the camera and standard 100 mil headers for general purpose I/O. 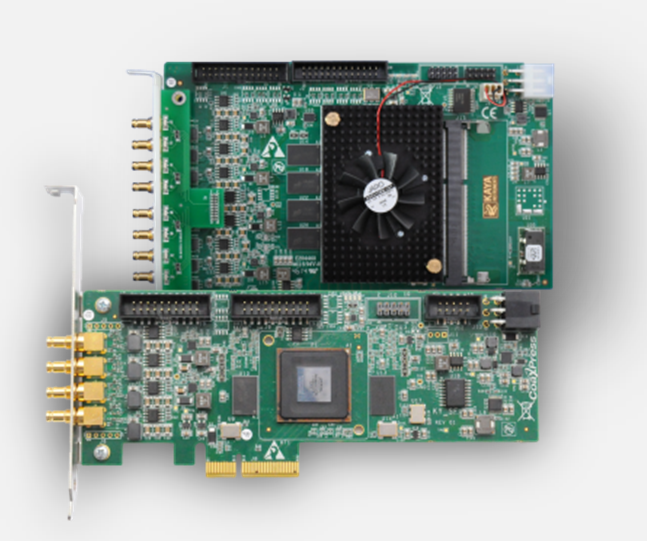 The frame grabber utilizes PCIe Gen2 x4 links for communication with Host PC for video uploading and configuration.